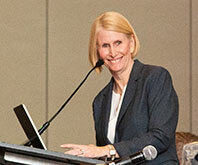 USTA Southern President and CEO Bonnie Vandegrift. Volunteer to promote the growth of tennis! 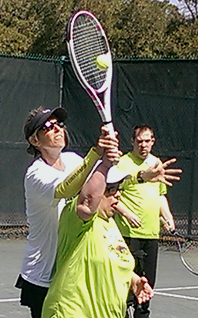 Are you passionate about tennis? 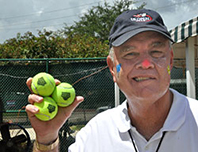 Are you interested in volunteering for USTA Southern on a committee? Volunteering for tennis is a rewarding opportunity shared by thousands of Americans each year to help grow the game of tennis. Regardless of your skill level, your age, or your background, there are many ways you can serve the sport. USTA Southern was founded in 1886 and is focused on the development and promotion of tennis within the nine states comprising the USTA Southern Section – Alabama, Arkansas, Georgia, Kentucky, Louisiana, Mississippi, North Carolina, South Carolina and Tennessee. It is the largest of 17 sectional associations that make up the United States Tennis Association (USTA), the national governing body of tennis in the United States. 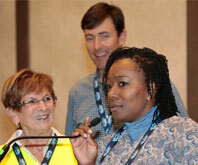 Want to volunteer on a USTA Southern Committee? 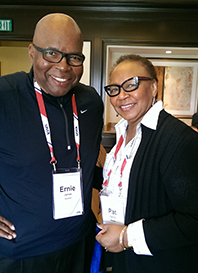 The fundamental role of each USTA Southern committee is to advise the USTA Southern Board of Directors in promoting and developing the growth of tennis. These committees include volunteers (USTA members), who work with USTA Southern staff on USTA programs, initiatives and events and provide recommendations to the Board. The USTA Southern President & CEO appoints all committee chairs and members, who serve a two-year term. Every two years, there is a call for USTA members to apply for Board of Directors and committee positions. The next round of applications will be available in the summer and fall of 2020 for terms starting on Jan. 1, 2021. The management of USTA Southern is vested in its Board of Directors: the President, the Executive Vice President, three Vice Presidents, a Secretary, a Treasurer, a Section Delegate to the USTA and three Directors at Large. All members of the Board of Directors must live within the geographical boundaries of USTA Southern and be active members of the USTA. The USTA Southern Nominating Committee is responsible for interviewing candidates and compiling the slate for the USTA Southern Board of Directors as well as the succeeding Nominating Committee. The USTA Southern Board selects new committee members during the fall of even-numbered years for two-year terms starting in January of the following odd-numbered year. USTA's infomation page for volunteers.